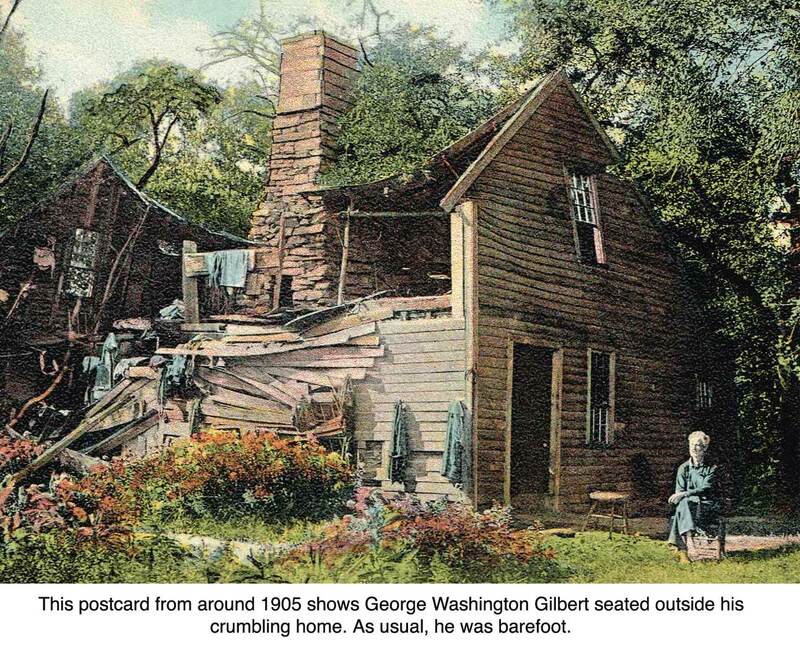 Some say George Washington Gilbert’s mind snapped when his sweetheart deserted him. Others say he was just odd from the beginning. But for years he lived, usually barefoot, in his pre-Revolutionary family homestead as it fell down around him, a situation captured in many photographs and even on postcards. Born in 1847 in that homestead, he was educated at a private boys school in the village. Little is known of how he spent his early adulthood, but for his last 40 years, he lived alone on Florida Hill Road. “By his own account, he became a hermit following the death of the girl he planned to marry,” said Silvio A. Bedini in “Ridgefield in Review. He enjoyed posing tricky mathematical questions, such as “What is a third and a half of a third of 10?” and showing people the sword that his grandfather had supposedly captured from a Hessian soldier at the Battle of Monmouth during the Revolution. He would also take visitors to his cellar where there was a stone in the chimney basement that reportedly bore a striking resemblance to the profile of Queen Victoria. Gilbert invariably dressed in a cotton shirt, overalls hung by suspenders, and an old straw hat. 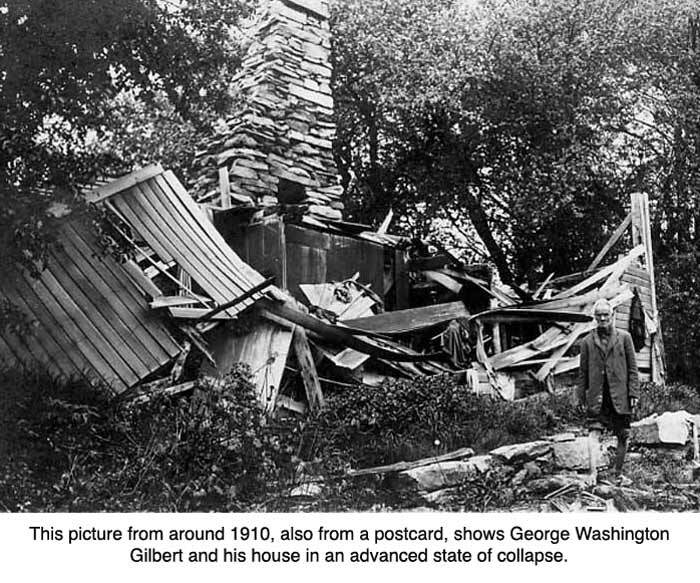 Gilbert’s home literally fell apart around him and for a while, he had to move his bed onto the hearth of the old fireplace, the chimney stack being the only shelter left. Finally, Col. Edward M. Knox, whose huge Downesbury Manor estate was down Florida Hill Road a bit, took pity on him. Knox had a cottage built for the hermit, where he spent his last years. On Jan. 6, 1924, during a bitterly cold spell, a neighbor looked in on Mr. Gilbert and found him frozen to death in his cottage. George Washington Gilbert is buried at the New Florida Cemetery at Route 7 and Simpaug Turnpike under a stone that reads: “The Hermit of Ridgefield.” His father, Jeremiah (d. 1860), and mother, Eliza (d. 1884), lie next to him.